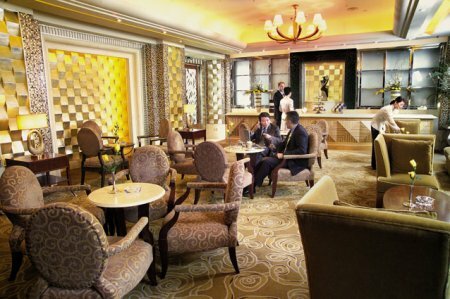 Escape to the Radisson Blu Plaza Xing Guo Hotel Shanghai, situated within seven hectares of historic gardens in the heart of Shanghai's consular district. Allow yourself to fully relax in this tranquil, welcoming environment and take advantage of first-class hotel services, including well-appointed guest rooms, concierge and 24-hour customer service center. Dine in style in one of four on-site restaurants or enjoy a meal in the comfort of your boutique hotel room. Rest well and stay connected with the comfortable, convenient guest rooms at the Radisson Blu Plaza Xing Guo Hotel Shanghai. Pick from 150 guest rooms and 40 suites to enjoy a relaxing stay in a stylish, contemporary room. These Shanghai accommodations are equipped with a writing desk and telephone for the convenience of the modern business traveler. If you're visiting Shanghai with children, babysitting services are available. Business Class features upgraded amenities and services specifically designed with the business traveler in mind. Enjoy upgraded in-room amenities, daily breakfast and 1,000 Bonus Gold Points® per night. 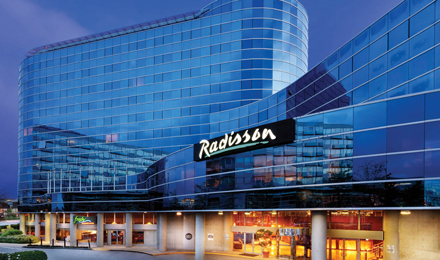 Choose from four on-site restaurants at the Radisson Blu Plaza Xing Guo Hotel. Guests looking for a casual European style meal will enjoy the convenient and delicious Café Li Brasserie. Share a gourmet meal with business partners or a loved one at the hotel's Li Palace. Take your time in one of eight private rooms and enjoy an enticing menu that melds Cantonese dishes with the cuisine of Shanghai and other regions of China.